This semester, campus has been buzzing about the newly opened Conrad Prebys Aztec Student Union. After more than a year of construction, Aztecs are glad to finally enjoy the amenities that the nearly completed project offers, from bowling lanes to caches of overstuffed armchairs in quiet study areas. Arguably, the most anticipated addition to the student union is still yet to come: beer. Oggi’s Pizza and Brewing Company is slated to open a campus location inside the student union, where it will offer its signature craft beers to complement the delicious slices. 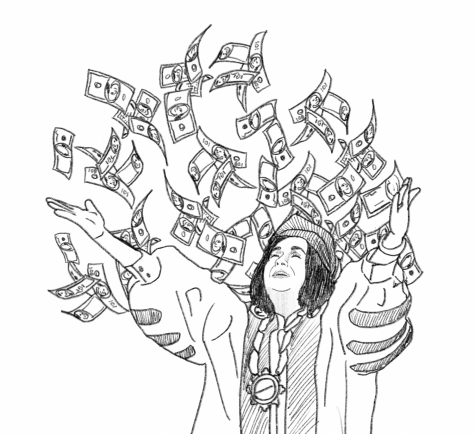 Many Aztecs of legal drinking age are ready to cry tears of joy about the prospect of a post-exam or pre-game beer. However, being 21 or older may not be enough to get you served here. [quote]As The Aztec reported last week, Oggi’s plans to serve alcohol, but only to those who can prove their age with a state-issued California ID. [/quote]According to Shawn Hadjis, Oggi’s director of operations, this measure will be put in place to reduce the risk of underage drinkers using fake IDs. Most fake IDs, he said, are from other states. Though Oggi’s undeniably needs to take this risk seriously, turning away paying customers based on their state of residence means avoiding business more than avoiding liability. “We never want to turn anyone away,” Hadjis said. But this restriction promises to do just that. To justify the planned policy, Hadjis mentioned the low proportion of the Aztec population that is made up of out-of-state students. He cited numbers reported in a recent The Aztec article about Oggi’s, which estimates that less than 1,400 SDSU students are from out of state. However, this number does not include international students, who make up an additional 17 percent of SDSU’s population, according to SDSU’s Analytic Studies and Institutional Research. The loss of business extends even further when we look beyond implications for Aztecs themselves. SDSU’s campus is a hub of activity in the eighth-largest city in the country. From hosting basketball tournaments to Lady Gaga concerts, SDSU consistently draws huge crowds year-round. We’re talking thousands of people per event, and what do people love to do before a concert or sporting event (especially when Viejas goes dry for NCAA events)? We drink! From a business management perspective, these concert and game goers represent a potential goldmine. Oggi’s could make itself the premier pre-game hotspot, with little to no effort, just by being the only place on campus that can offer this particular type of service. Just think about the recent NCAA tournament we hosted. The campus was so full of people coming in from around the country that they cancelled classes to make room for the visitors. At least half of those people suffered a huge disappointment while they were here. Sad sports fans means increased beer sales. Oggi’s could flourish during events like those, if they would only open up to accepting IDs from other states. While Hadjis’ commitment to minimizing the risk of serving to underaged college kids is noble, he needs to approach it in a more business-savvy way. Hadjis confirmed that the point-of-sale systems at the on-campus restaurant have a swipe-read function that verifies the validity of ID cards. The restaurant will also use a hand-held ID reader, like those used by nightclub bouncers, to allow employees to re-card any patron drinking in the restaurant. 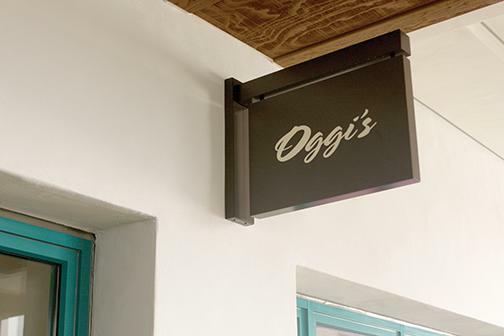 Hadjis also said all employees will be trained to handle alcohol in a manner that complies both with the California Department of Alcoholic Beverage Control and with Oggi’s strict alcohol-sales policies. Oggi’s wants to ensure all employees follow the letter of the law by looking into Licensee Education on Alcohol and Drugs training for their employees and managers. According to Hadjis, the California ABC recommended Oggi’s go the route of only accepting California IDs, but it’s not a legal requirement. The other measures of prevention the restaurant will have in place, if executed consistently and properly, would make the restaurant compliant with ABC’s guidelines while not limiting the sales potential. While the dedication to safety is commendable, you’ve got a business to run, Oggi’s. Thousands of restaurants make it work with traditional ID verification technology and I’m sure you can, too.